Size: * 3 oz. 6.2 oz. Go ahead, turn the bag around and look at the ingredients. 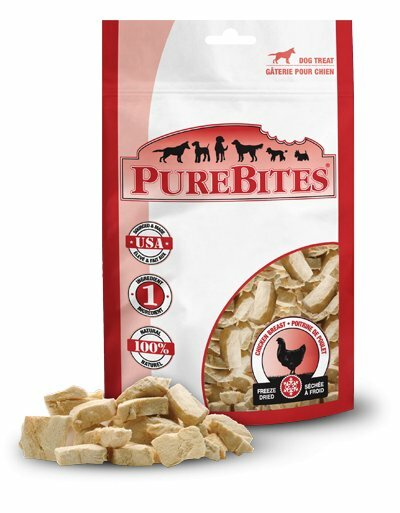 PureBites® are made with only 1 ingredient; 100% Pure USDA Inspected Chicken Breast in the USA. Dogs love the taste of PureBites® because our treats are freeze dried RAW to lock in the aroma, texture and freshness they crave. Dog parents love PureBites® because our treats are 100% pure and rich in nutrients for a happy and healthy life. 100% Pure USDA Inspected Chicken Breast, made in the USA.